Hospitals and federal agencies often keep outbreaks of drug-resistant infections quiet from the public, which could pose a threat to patient safety, reports The New York Times. 1. The CDC issued a public alert in January about a drug-resistant bacteria that a dozen Americans contracted after undergoing elective surgeries at Grand View Hospital in Tijuana, Mexico. Yet when similar outbreaks occur at U.S. hospitals, the agency does not issue a public warning. This is due to an agreement with states that prohibits the CDC from publicly disclosing hospitals undergoing outbreaks of drug-resistant infections, according to NYT. 2. Patient advocates are pushing for more transparency into hospital-based infection outbreaks, saying the lack of warning could put patients at risk of harm. "They might not get up and go to another hospital, but patients and their families have the right to know when they are at a hospital where an outbreak is occurring," Lisa McGiffert, an advocate with the Patient Safety Action Network, told NYT. "That said, if you're going to have hip replacement surgery, you may choose to go elsewhere." 3. The NYT's report follows an April 6 article from the publication highlighting the rise in outbreaks of Candida auris — a fungus resistant to all major antifungal medications. Hospital leaders and public health officials said the risk of a typical patient being exposed to something like C. auris is low and argued that greater transparency into outbreaks like these could scare people away from seeking healthcare services. "That could pose greater health risks than that of the organism itself," Tina Tan, MD, chief epidemiologist at the New Jersey Department of Health, told NYT. 4. The CDC declined NYT's request for comment. 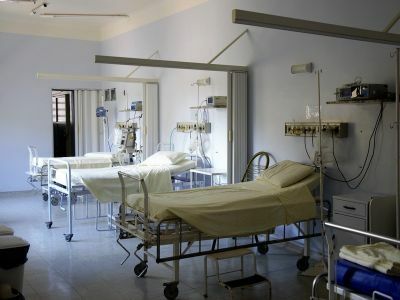 Agency officials have previously told the publication the confidentiality surrounding outbreaks is necessary to encourage hospitals to report the drug-resistant infections.